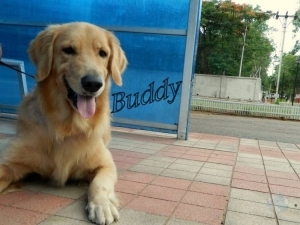 Happy Dogs Kennel is a Dog Training Centre in Hyderabad. Mr.Anand the owner of Happy Dogs Kennel is providing the Dog Training Centre in Hyderabad. Many of you have the hobby of having pet at your home. We want to take care of these pets like one of our family member. Happy Dogs Kennel is a Dog Training Centre in Hyderabad to take care of your pet dogs the way you want them to be. At Happy Dogs Kennel we provide Hygine environment and quality food. Happy Dogs Kennel a Dog training Centre in Hyderabad is teaching dogs a response to cues or commands, or the performance of actions not necessarily natural to the dog, and also raising a dog accommodated to his environment by modifying natural digging, barking and eliminating behaviors. Dog training Center in Hyderabad is experienced in purposeful changing of a dog's behavior.